If you're one of the many Game of Thrones fans, but still haven't seen the last few episodes, stop reading right now because – spoiler alert! Still, those of you who have seen the scene that went viral will probably want to know more. Here goes: the spoilt and cruel bully, Joffrey, is dead! Finally, many would agree. But do you know where he died? He died at his own wedding. And there is one more answer to this question. He died in Croatia. In Dubrovnik! 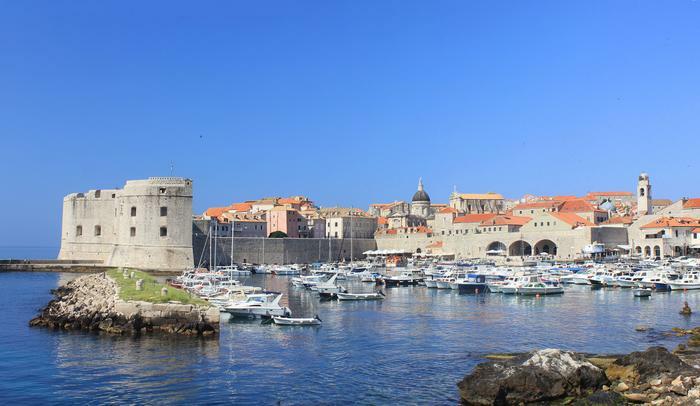 The happiest moment of the series (according to many fans) – Joffrey's suicide – was filmed in Dubrovnik. Game of Thrones is being filmed in Croatia for the second season. The historical walls of Dubrovnik and its medieval exterior are the central place of the events in King's Landing. It is about the capital and the center of power of the Seven Kingdoms where all political intrigues and secret deals are made. Dubrovnik embodies the capital year after year. It seems that the series' makers have really fallen in love with Croatia since they included Split and its surroundings in the 4th season. These days, you can see Daenerys and his army roaming around Split and the nearby mountains. If you'd like to spend your vacation in some of the important locations from Westerosa, make sure to visit Dubrovnik and Split in Dalmatia. If you find yourself in the right spot at the right time, you might even appear in the next season of the most popular TV series in the world.